Patients Talk... | Share Your Experiences. I believe I know what is killing healthcare innovations, digitalization, personalization and all other beautiful initiatives. It is bureaucratic rigidity. Bureaucratic system is manifolded. It may include hospital management, health insurances as well as ministerial authorities. All those bodies however multifaceted are united by one common goal: to justify their existence and financial stability by issuing the abundance of regulations. For example, it is obviously hard for an insurance clerk to imagine that a patient could be transferred from one hospital department (e.g. neurology) to another (e.g. cardiology). The insurance compensation schema requires separate hospitalization for each episode of care. Hence according to insurance regulations a patient has to be first discharged from the entire hospital to be hospitalized later to another department of the same hospital. 54% of the German doctors complained that they spend more than enough time on administrative tasks such as account processing, insurance reimbursements and other procedures non-related to patients’ treatment. Here are my observations after spending a day in one of the largest and acknowledged hospitals in Germany. I have arrived to the hospital for a consultation with the well-known Professor. The appointment was set by a doctor from a polyclinic which is a part of the hospital campus. According to the guidance, I had to first register myself at the hospital Main Registration Desk proceeding to the Professor’s Secretariat after. A nice lady at the Registration Desk handled me a piece of paper with many bar codes wishing a nice day. The day however, started badly. The lady at the Professor’s Secretariat apparently was not happy with the paper I have delivered. – “This is the wrong paper” she said. “What was the number of the cabin you were registered in”? My burning mind was desperately searching for the answer. Miraculously my memory fished out the number. – “Seems nobody is responding. Can you return to the Main Registration Desk and fetch the right paper”? I had no clue what the “right paper” should look like, but neither seems the lady at the Main Registration Desk. Now it was her turn to call back the Secretariat. After some interactions I was instructed to go back to the polyclinic where the appointment was initially set and clarify the matter there. – “But how can I explain what we are looking for?” I had a nasty feeling that the appointment is at risk. The lady honestly confessed she was not quite sure herself hoping that people at polyclinic can provide some clarity. If somebody was unlucky visiting a big hospital you may have an idea of its architecture: chaotic connections of blocks chained by kilometres of twisted corridors and elevators with one purpose only: to lock a visitor in its labyrinths forever. I was fortunate to noticed a Red Cross desk. An amiable Red Cross lady volunteered to show me the way to the polyclinic. I could not resist complaining. Patients as well as medical professionals should not be entangled in all these tricky bureaucratic procedures. Finally we have reached a polyclinic. The young girl at the reception was also very friendly. Unfortunately, the collection of bar codes meant nothing to her as well. There was again an urgent need to consult the Professor’s Secretariat . Interestingly, that nobody in this gigantic hospital seemed to use any kind of internal communication system that can reach a person everywhere by mobile phone or computer showing who is present or absent at the working place. Modern systems such as Skype for Business or at least WhatsApp or Viber were nowhere seen. Instead hospital staff was using traditional phone lines. After a short conversation with the Secretariat the girl triumphantly announced that I can go back and have my appointment. – “How about the papers?” – I have asked cautiously. With a supersonic speed I have reached the Secretariat. Hardly catching my breath, I have informed the secretary that now everything was settled . – “Perfect!” The lady was apparently relieved. “So where are the papers”? I was speechless. The expression of my face clearly indicated that I was not moving anywhere from now. The meeting with the Professor was constructive. Apparently, more investigations were necessary for which short hospitalization was required. The next step was to get a referral from a polyclinic. This polyclinic was also part of the hospital campus, but not the one I have just visited. Let us call it polyclinic number 2. The lady in the Professor’s Secretariat handled me the referral signed by the Professor himself and kindly offered to set up the appointment for me. After 25 minutes she appeared looking somehow puzzled. – “Nobody is responding to the call. Maybe you can just go there?”. I felt something like a déjà vu, and plunged into a new journey. After half an hour wondering through empty corridors, I was lucky to bump into a cleaning lady. I grabbed her hand pleading to bring me to the polyclinic number 2. I was ready to clean all the corridors for her on the way there. The reception at the polyclinic 2 was empty (no wonder the phone was not responding!). Although it was not a lunch break a girl appeared in a quarter of an hour. – ¬“What do you want”- she asked roughly. I have silently handed the Professor’s letter. – “So what?” her eyes were sliding through the lines with apparent indifference. The girl looked at me haughtily. – “After the first of October you need to get a referral from a medical practice”. – “Because this is the regulation from the first of October”. The girl’ s intonation presumed no discussions. I had no choice, but to trudge back to the Secretariat. I have informed the Professors assistant that the referral from the Professor of this hospital from now on was not accepted by the policlinic number 2. Eloquent silence hanged in the room. The thunderstorm was approaching, so I slipped into the corridor. In the next 25 minutes Professor’s assistant was fluctuating between Professors’ cabinet and the Secretariat. Finally, the Professor himself appeared announcing that my appointment was scheduled for the next week. Obviously he was annoyed by the whole story, but managed to control himself quite well. Apparently, after a couple of calls the Professor had fixed the issue. Papers with bar codes as well as the hidden regulations behind them are still a mystery to me. But are those regulations really worth doctors time and patients’ anxieties? I am not naming nor blaming the hospital. It could be any hospital in the country. Despite all efforts of medical personals it seems extremely hard to penetrate the bureaucratic system barriers. A friend of mine together with his wife has temporarily moved to Germany from the US. Long flight, weather changes and stress were too tough for the female immune system: a woman got sick and had to see a doctor. The General Practitioner (in German “Haus Arzt”) nearby was brisk: he agreed to take this case, only because of its emergency. However, in the future the couple has to look for another doctor, since this practice was “fully booked”. Another colleague of mine arrived to Germany from Moscow with his family including two small children. The priority of course was to ensure a proper medical coverage for the kids. Endless web browsing and numerous phone calls to GP practices resulted only in polite refusals. “Sorry, we have no capacities to assist you”. It was not a question of money: both families were financially quite stable. Local GP practices were overloaded. Nobody wanted to take an additional patient irrespective of the reimbursement. After all, doctors are also human and have their right for leisure. You may think this is all about foreigners and German citizens are treated differently. Certainly, locals in the neighbourhood have an advantage of getting an earlier access to their GP practice, but better attention they have not. My family observed the evolution of our own GP with whom we are staying for almost 20 years. The peak of his attention (check-up alerts or other engagements) was the period when we had to pay 10 euros for our visits. After this legislation was abandoned our GP showed no curiosity in regard to our health. From time to time he was referring us to specialists, but I doubt he was ever aware if we had actually visited one or not. One might argue that this is just one doctor who does not fulfil his duties properly. On the contrary. Our GP is quite experienced. He is even trying to find more time for complex cases by pushing them towards the end of the day. But he is receiving 30 patients per day, 150 per week, so basically each of us can count in average on 10 minutes of his time. According to the studies Primary care consultations in Germany lasted to under 10 minutes. Considering these statistics, our GP is even better than the average in Germany. And this is not a limit. A general practitioner in Germany on average sees 243 patients per week (31,4 hours of direct patient contact) and has a total workload of 50,6 hours per week, both indices being considerably higher than in many other comparable western healthcare systems. No wonder that with years our GPs are gradually turning into dispatchers having time just to prescribe a medication against rhinitis and in a more complex cases route patients to a nearby hospital. The same study tells us that GP consultations in Belgium, Cyprus, Iceland, Lithuania, Luxembourg, Portugal, France, Switzerland, Finland and Norway lasted between 15 and 20 minutes. The longest (between 20-25 min) in Sweden. So, what is the secret of the Nordic countries? Maybe they have more doctors? Apparently not: Germany has 170 GPs per 100.000 of population while in Sweden only 64. The reason seems to be somewhere else. Let us have a look at some of the Nordic GP practices that are not widely spread in Germany. Healthcare is a team work. A GP visit is normally just a beginning of a patient journey. One often has to visit other specialists or physiotherapists. Hence coordination between GPs and medical stakeholders across care is crucial for a proper diagnostic and therapy strategy. Sweden since 1970 has encouraged ‘one stop shop’ clinics. Team-based primary care facilities with four to six GPs, and other staff categories (district nurses, nurses and often physiotherapists, occupational therapists, psychologists, and social welfare counsellors), is the most common form of primary care practice in Sweden. Private practices with only one GP exist but are rare. Contrary to that, the dominant practice organisation in Germany is 68% solo. Only recently Germany has amended its laws to allow more co-operation between GPs and specialists in medical centres. Still a typical GP visit presumes a brief 10 minutes contact followed by a long journey across geos for a relevant specialist visit. The “continuation of care” is almost disrupted. More than 50% of primary care physicians report that it takes more than 14 days for them to receive a full report from a hospital once their patient has been discharged for 15% it takes more than a month. Doctors are anonymously exchanging official letters with patient’s examination data sent either by post or, in the majority of cases, delivered by a patient himself. Should my GP suddenly decide to dive deeper into a medical history of a given patient, he has to step down into his cellar and search through tons of documents stored there. Would it not be better if our general practitioner personally knows a specialist he is referring his patient to able to discuss the case with his colleague over a cup of a morning coffee? Although the number of nurses in Germany is more or less equal to those in the Nordic countries, their actual role is different. In our small GP practice there are usually 2-3 nurses at the reception registering patients and simultaneously responding to numerous phone calls. In between, they can take blood and ECG tests (just measurements, not deciphering data for a preliminary diagnostics). In general, nurses in GP practices are neither trained nor responsible for monitoring chronic or elderly patients who constitute the majority of visitors. Sweden e.g., on the contrary, was one of the first European countries to create nurse-led clinics for patients with long-term conditions such as heart failure and diabetes. Swedish primary care nurse are annually dealing with more than 30 million telephone calls concerning medical advice, guidance or counselling. On top of that, there are online services such as KRY or Swedish express care virtual where a patients can contact “care guides” online or by telephone to find out if their symptoms indicate need for a visit to hospital or prime care and also receive medical guidelines, when professional care is not needed. Maybe because of such filters physicians in Norway and Sweden have the smallest numbers of patient contacts (80 and 50 per week respectively)? Bureaucracy appears to be a plague of the European healthcare system. 54% of the German doctors and 37% of the Swedish ones complained that they spend more than enough time on administrative tasks such as account processing, insurance reimbursements and other procedures non-related to patients’ treatment. Studies among 164. 000 German practices showed that doctors spend about 54,16 hours annually only on administrative tasks. Other evidence demonstrated that each GP Practice in Germany should spend one day per week to cope with all paperwork, half of which could have been easily ignored. No surprise that a very large fraction (82%) of German primary care physicians considered “fundamental changes” or even “complete” reform of the prime care system necessary. I have no intention to highlight any healthcare system as an example for others. Rather it is the attempt to identify some practices that seems reasonable from a patient perspective. As citizens we would welcome an integrated care when specialists and GPs collaborate together to support patients’ health vs. sporadically addressing bits of the disease; physicians who have enough time and interest to listen to patients instead of mentally calculating reimbursements. In a word: we need healthcare system that works for citizens and not for itself. European world is getting more global. Maybe it is time to have a closer look at best practices across the advanced healthcare systems for the sake of a more effective patient centric care? When I asked this question via social network, I have received the avalanche of fuming responses from medical professionals. The majority found the question ridiculous. Of course, patients have an influence. It is their symptoms that are studied, their blood that is examined, their vital signs that are measured to ultimately pronounce the diagnostic verdict. But should patient have an opinion in this process? One of the straightforward responses runs as follows: Patients lacks objectivity and/or rational understanding. Their feelings and emotions are too subjective. It isn’t the responsibility of a doctor to teach a patient WHODAS 2.0, tests and measurements or Diagnostic criteria contained in the DSM V.
It follows from the statement that a patient should continuously remain the passive object of medical examinations. But what if a patient is confident that the verdict is wrong? Not only misdiagnosis can stigmatise an individual by ascribing anomalies she/he never possesses, but also provoke consequential medical mistakes based on initially wrong assumptions. Diagnostic errors are one of the major life-threatening diseases causing the death of seventy-one thousand and four hundred Americans annually. According to the Society to Improve Medical Diagnosis 2017 Annual Report every one in 10 medical diagnosis are incorrect (ten per cent). To set up a correct diagnosis is unquestionably difficult. After all, with 10.000 known diseases any one symptom can have hundreds of possible explanations. The problem of diagnostics is mathematically related to a class of inverse problems which are the most intricate in science. But the worst scenarios are when misdiagnoses are determined not by the complexities of the subject, but by calculative, administrative, financial or logistic priorities. Here are some stories told by the „emotional„ patients “with the lack of understanding”. For the privacy reasons let us call them Jack and John. Jack, who had a long history of neurological and cardio disorders was delivered to the hospital with a strong vertigo, vomit and minor speech disorders. Unfortunately, this episode overlapped with the flue epidemy in Europe, so most of the hospitals were “fully booked”. One had to have a really good reason to occupy a bed for a few nights. The CT showed signs of the “old stroke” that took place a few weeks ago. From a medical perspective, nothing more to do. But the symptoms stubbornly continued and required an explanation. Jack was sent to an otolaryngologist. The solution was immediately found. In 10 minutes Jack was diagnosed with “Neuritis Vestibularis” also known as Labyrinthitis or inner ear inflammation. Inner ear is an important part of the vestibular system which sends signals to the brain about body location in space. Its inflammation may result in a sensation of the world spinning. In two days Jack was discharged from the hospital with the prescribed dosage of cortisone. The hospital bed was free to accept another misfortunate. They family asked for the second opinion. None of the otolaryngologists they talked to confirmed the diagnosis. Occasional slow of speech clearly indicated that vertigo had a more serious neurological background. Three weeks later Jack was brought back to the same hospital with a missed stroke. Physicians who examined him at the Emergency Ward and saw the previous diagnosis pronounced only one word: Rubbish! Nevertheless, Neuritis Vestibularis is still migrating from one medical record to another whatever medical institution Jack is visiting. Moreover, since Jack was a diabetic the huge dosage of cortisone provoked the dramatic increase of his sugar level. Another story could have had even more dramatic consequences. After heart OP (two bypasses) John was transferred to Intensive Care Unit (ICU). His conditions at that time were considered stable. He was communicative, welcomed visitors. On the second night after the OP he was left in ISU with two nursing apprentices on duty. According to their story told later the patient attempted to take off the oxygen mask and “could have damaged himself”. Apparently, they were not listening to what John was trying to tell them: there was no oxygen in the mask and he was simply suffocating. The two strong young ladies, assisted by a belligerent staff nurse who obviously knew nothing of the case but was a priori hostile to the patient, jumped on the half-paralyzed man knotting him to the bedside to reliably interrupt his protests preventing him from pressing the emergency button. The subdermal injuries caused by fastening John were so hard and the tissue damages and bruises so deep that one of his hands was damaged forever. Attracted by the midnight noise another patient jumped out of his bed attempting to help his roommate by calling the police. He was running along the corridor with a rubber tube hanging from his side until he was caught be the alarmed nurses who were chasing him with wild cries. One could imagine such scenes in the Woody Allen movies, should it not actually have happened in one of the most prominent hospitals in Germany. The family expected at least an apology. Instead , John received a note in his records that he was mentally and emotionally unstable. This phrase could have followed him throughout his life, although he knew nothing of the vicious record. There was no mechanism for relatives to dispute the verdict that simply disguised hospital’s self-protective lies. Thanks God, a doctor from Rehabilitation Centre who treated John later simply erased the stigma from his records. A friend of mine, a cardiologist from one of the reginal clinics in Germany, too young to be interested in hospitals’ „hidden agendas” and other corporate priorities alien to patients’ well-being, once complained to me that he actually was given only two or three minutes to examine a patient. He had to perform multiple tests for several people literally running from one examination room to another: ultrasound, ECG, ECG, CT, sonography, etc. Once he was examining a patient who, from his perspective, had clear clinical indications for thrombosis. However, the CT scan showed no thrombus. My friend had requested his supervisor to give him more time to complete the examination. The response was: “Do your job immediately. Time is money. There is nothing on the screen, so we are clean. Move on.” Apparently the focus in the hospital was more on profit based on “volume” rather than on the optimal patient care. Thanks God my friend ignored the instructions and continued the examination. He finally found the thrombus. Should the patient be dismissed from the hospital, he would have been dead in a few days. The law-enforcing agencies, the police included, are generally reluctant to get involved in the cases with medical staff, no matter how grave the damage presumably were. As patients and citizens, we do understand that misdiagnoses can happen. After all, we are all humans. Doctors can be tired, stressed, exhausted. But the society should not tolerate wrong diagnostics, lies and negligence intended to cover hospitals’ administrative or financial needs. Patients are the only ones who have uncompromised and unbiased interest in correct diagnostic. Unfortunately, today they have very limited control over negligent behaviour, misdiagnosis and their devastating consequences. Can this be changed? 2 days in a hospital. Am I the only one? Here are my 2 days in a hospital sitting at the bedside of somebody who is close to me. A patient was brought to the nearby regional hospital in Freising (about 50 km from Munich) with a strong vertigo. Ironically it was the same hospital he visited 11 years ago when his first acute stroke happened. At that time the reaction was fast: he arrived to the hospital within an hour being fully conscious, with no visible manifestations of neurological syndromes. It was Sunday evening. Bad luck: no neurologists in the clinic. The patient was left with no help for 10 hours in the emergency till neurologists returned from their weekend the next morning. Unfortunately, the stroke did not want to wait. Coming with the mild dizziness and high blood pressure the patient was discharged from the hospital with the left side Paralysis. No wonder he has developed an aversion for Freising. But there were rumours that things had positively changed. This hospital is now under the supervision of the famous Rech der Isar clinic with the outstanding reputation and highly qualified personnel. Even telemedicine is now available to compensate for the lack of Freising’s resources: one can presumably set up videoconferences with Rechts der Isar experts. I have signed a document confirming that I have no objections against such services. As we arrived, the vertigo got stronger. I had to take a roll chair to get the patient to the reception. The lady at the desk was preoccupied with papers we had to fill in barely glancing at the patient sitting in front of her. After 2.5 hours of waiting at the Emergency ward the patient was not at all better. I had to inquire the information desk if the nurse could come to fetch him up. The cool glance and the short snap:” we are doing our best with the resources we have” immediately reminded me about my place in this milieu. Luckily in the next 15 minutes a nurse appeared. The doors of the emergency department closed behind them. Another exhausting hours of waiting full of uncertainty. But this is OK. We all understand that medical examinations take time. I was staring at those sacred doors together with other relatives, friends and caregivers with the same burning question: what ‘s now? The question hanged in the air. Finally, my prayers were heard: through the half-opened doors I saw my patient stumbling but definitely targeting toward the exit. Ignoring strict orders: „do not enter” I have rushed to assist him. Being left for another 1.5 hours alone in the room with no info he was apparently planning an escape. This was not rational. But understandable: being in the hospital one feels vulnerable, nervous and completely neglected. Just a short friendly phrase, clarification of what is coming next would have made a great difference. Day one was the anxious attempt to get the results of preliminary medical investigations. I arrived at about 12 pm, since according to my knowledge, all medical checks and hospital rounds should have been more or less completed by that time. The patient I was visiting looked extremely week. Vertigo continued. I hoped to get the results of the Computer Tomography, but had no idea whom to address. Nurses were rushing through the corridor, but there were no traces of physicians. Other patients in the room told me that there was no ward round that day, only a junior assistant popped in. It was absolutely not clear who was responsible for a given patient. The only way for relatives to get some info was a window of 45 minutes (between 15.15 and 16.00). And that is for all of us including patients. At last I got him. Exactly between 15.30 and 16.00 a slender and brisk chief doctor was standing in the corridor chatting amiably with a group of ladies. The name of my patient apparently did not ring a bell. No wonder: he has not seen him so far. Slowly some associations between a patient and his records were revoking in his memories. The patient was diagnosed with the left side cerebellum stroke. It was one of those “silent strokes” one does not notice right away. According to the Chief Doctor, it was “not fresh”, hence no urgent therapy was required. The doctor was honest: he could not explain the reason of the continuing vertigo. He was a cardiologist, not a neurologist. More examinations and the consultation with the neurologist have to be done in the course of the week to understand the problem. Fair enough. But the patient was already 1.5 days in the hospital. Was it not a sufficient time for a neurologist to visit him? We were awaiting neurological examination. I managed to grab the assistant doctor who was careless enough to stroll through the corridor. He was young and still had some glimpses of sympathy in his eyes. Unfortunately, he also could not provide a reliable information being a cardiologist. The neurological department was on the same floor. But it seemed like on another side of the planet. Time tickled. It was Friday 17 pm. At 17.30 the assistant entered the room announcing we can go home. I could not believe my ears. Seeing my bewildered expression, a young man shyly added: we have only one neurologist and he will be back on Monday. Again, the same nightmare as 11 years ago: our health, the health of our beloved ones depends on a presence of a single physician. What about the potentials of telemedicine, the virtual consultancy with experts from the Rechts der Isar promised in the documents I have signed at the admission? Perhaps technology was there, but apparently used only for exclusive cases. Ours did not seem to be among them. The received medical conclusion contained multiple descriptions of test results as well as copy and paste from the previous documents. The diagnose was: Neuritis vestibularis. So, where the problem lies? In the inner ear infection or a poor blood circulation leading to the cerebellum stroke? And what to do to prevent another one? There was nobody around to answer. The neurologist was already enjoying his weekend. The doctors’ letter contained some unknown names and the lonely signature of the poor assistant. It was an outstanding example of a virtual care: several medical persons provided test results, somebody processed various documents. Based on this composition diagnosis and care pathway were recommended. Maybe there was a thorough thinking process behind, but it was hidden from us. So, how about those sacred relationships between patients and doctors? Hand shaking, eye contacts that are considered to be so valuable for diagnostics and care that no technology can substitute? What about patient’s engagement in the decision process? All those questions seem to be just rhetorical. We are still struggling. Vertigo is going on. Our general practitioner recommended the same medication treatment this patient was taking for 10 years ago, although his health situation has apparently changed. Recently I have read a thought provocative study on unwarranted regional variations in German Healthcare provided by Bertelsmann Stiftung which I do recommend everybody to check on. It appears that the quality of care we receive very much depends on geography we live in: availability of the right specialists in the area, their personal professional experiences and skills, last but not least availability of resources, such as medical equipment etc. As a citizen and a patient, I would also add – bureaucratic culture still prevailing in some parts of medical environment. Culture that prioritizes documents over patients, impersonal protocols over individual care, formal procedures over curiosity to solve a problem. While leaving the hospital I saw a slogan written on its walls: “you are here to become healthy again”. Were we part of the system’s occasional fault or its fundamental failure? Or maybe we were simply in the wrong time in the wrong place? Health data are exploding, expected to grow by 48 percent annually coming to 153 Exabyte in 2013, according to the report from EMC and the IDC research firm. If the trend continues (and there is no evidence that it will stop), this figure will swell to 2,314 Exabyte by 2020. No human brain is able to cope with such an avalanche. There are about 10,000 known human diseases, yet doctors, squeezed between 10 minutes allocated per patient visit, are only able to recall a fraction of them at any given moment. To help providers to navigate and not to drown in the oceans of data Artificial Intelligence (AI) technology comes into the picture. By analysing enormous amount of data (patient’s records, X-ray and images, endoscopies, even social networks, etc. within seconds, identifying repeatable patterns and learning from mistakes, this technology promises to extend (or in certain cases) surpass human intellectual capacities. Stanford researchers, e.g., were able to create an algorithm that is flagging abnormal readings from a standard ECG identifying heart conditions such as atrial fibrillation or complete heart blockage with greater sensitivity and precision than certified physicians. Researchers from Showa University in Japan can recognise bowel cancer in less than a second with 94 percent accuracy. More convincing evidences of AI advances are coming. Healthcare system have to adjust to innovations. What fundamental changes can be expected? One of the fundamental changes AI can bring to healthcare systems is the obliteration of the traditional European medicine. Medicine as the discipline focused on curing diseases primarily with the help of medication and interventive surgeries will dissolve in healthcare interpreted as an attempt to support healthy condition of each individual as long as possible. Technology can help physicians to proactively address human organism not as a sum of separate parts, but as an integrated system. Physicians who are treating patients suffering from complex diseases with multiple disorders know very well: curing each symptom does not always make a patient healthier. For instance, one can confine the cholesterol from rising above a certain level with statins, maintaining the systolic blood pressure under 130 mm Hg, restrict the glucose levels from rising beyond a prescribed level, but still more disturbing signs may appear. As if our body resisted to controlling various symptoms in order to signal systematic problems underlying clinical manifestation of the disease. Cancer is one of the vivid examples of a systematic disease. One has to consider enormous amount of external and internal risk factors such as age, family history, radiation or pollution, bacteria or viruses, etc. to understand the origin of cells mutation. 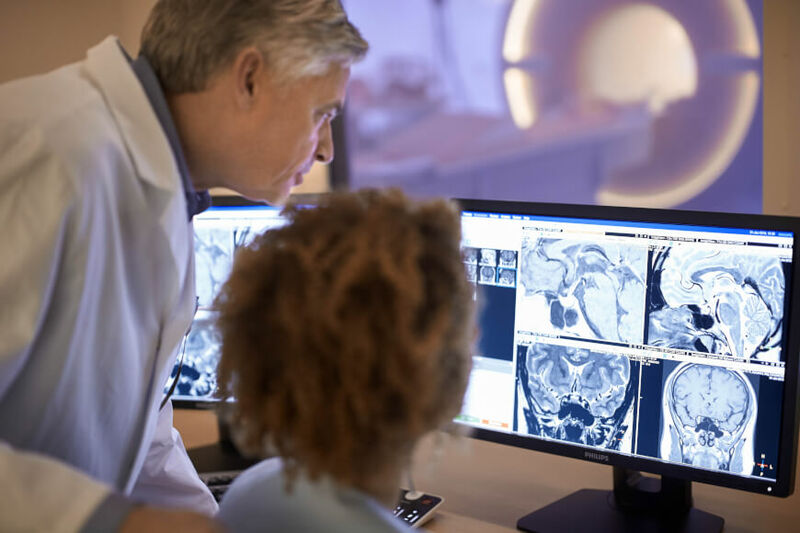 The UK’s National Health Service (NHS) and Intel are working together to make cancer detection more efficient through AI. Initially focusing on the lung cancer, a team of scientists, hosted by the University of Warwick’s Tissue Image Analytics laboratory, have been creating a digital repository of known tumour and immune cells based on thousands of human tissue cells. The database of cancer information will then be used by algorithms to recognize these cells automatically. Unlike traditional contemporary healthcare that are focused on sequential treatment of explicit clinical presentations of the disease, the future synthetic care might be able to look at the patient through holistic lenses analysing biological complexities of the whole organism, taking into account interaction of its subsystems and genetic patterns. New generation of “smart patients” will appear. No more those “patient” patients submissively swallowing everything that doctor is prescribing them. Artificial intelligence might enable people not just to see their health data, but to understand them. One can imagine in the future personal intelligent advisor, sort of “mini-Watson” on any kind of smart devices. Applications teaching people to understand the complexity of health information are coming out. The British subscription, online medical consultation and health service, Babylon launched an application which offers consumers medical consultation based on their personal medical history and professional medical expertise. Users report symptoms of their illness to the app, which checks them against a database of diseases using speech recognition. After taking into consideration the patient’s history and circumstances, Babylon offers an appropriate course of action. Ada is another example of a personal health advisor developed by the Berlin and London based start up. Via a conversational interface it helps to specify symptoms suggesting information on what might be the cause of the disease. If needed, the application can recommend a remote consultation with a real doctor over text. Upcoming sophisticated and more accurate sensor enabled devices supported by intelligent applications will gradually make patients into active and knowledgeable participants of care processes. Robots will hardly wipe away physicians. So far, they are not possessing human qualities such as imagination, curiosity or empathy necessary to do a good job in healthcare. Promotion means new responsibilities and higher demands. Being freed from routine operations, necessity to memorize a lot of details that machines can do better and faster, our doctors will have to augment their knowledge and skills to the new level. They have to be smarter to meet expectations of smarter patients. Those patients will require Value, and not just Services, meaning they want to feel themselves better after treatments, not just receiving it. Think about diagnostics. World Health Organization (WHO) recently prioritized diagnostic errors in primary care as a high-priority. AI technology can help physician to perform a pervasive diagnostic of individual’s health status. For example, by using immune system, our personal hundred-eyed Argus body guard. T-cells and B-cells are constantly scanning our entire organism encoding information about any damaging changes. Microsoft and Adaptive Biotechnologies, another US company, have recently partnered “to build a universal blood test that can screen for dozens or even hundreds of diseases at a time, all by decoding the information in your immune system.” If the project is a success, scientists and physicians will be able to detect almost any disease even before it reveals itself. Our doctors will have to be able to navigate in multiple interdisciplinary areas. Imagine that a gastroenterologist is looking at the CT scan to check on the appendix, but the computer system has identified the nodule in the lung as well? Nobody can achieve a universal competence in any brunch of science, but one can learn fundamental principles. Hence the new medical education built on natural sciences will be required. After all, are humans not part of the Mother Nature and thus subjects of the same laws of physics, chemistry, biology as animated objects? All living organisms obey the laws of thermodynamics. Principles of computational fluid dynamics (CFD), a mechanical engineering field for analysing fluid flow, heat transfer in fluids, and associated phenomena with the use of computer-based simulation, are already applied to diagnose cardio-vascular diseases. Moreover, many types of ventilators used in modern medical technologies wouldn’t be possible without an understanding of fluid pressure and pulse frequency. Association of American Medical Colleges has stated in its Scientific Foundations of Future Physicians report: “modern medicine requires the ability to synthesize information and collaborate across disciplines”. The committee also recognises “the value of improving integration in the teaching of the basic physical, chemical, mathematical, and biological sciences in medical education”. Artificial Intelligence can provide physicians with deeper insights into patient’s conditions based on great variety of clinical, social and environmental data and achieve better diagnostics and more personalized care. But it will also demand ability to constantly operate in new fields of knowledge, challenging themselves rather than relying on habitual practices, experience and standard medical protocols. “Curiosity, scepticism, objectivity, and the use of scientific reasoning” (Association of American Medical Colleges) should be the vision of the future healthcare which technology will hopefully stimulate. To share and help or to fear and protect: what can stand behind data protection syndrome. Patients data protection is a high priority for governments and IT vendors. Many projects were delayed or banned because of the security issues. Electronic Health Record (EHR) project in Germany discussed for years eventually was reduced to the modest health insurance cards data set not accessible for patients. Patients data protection is crucial: Accenture estimates that one in 13 patients – roughly 25 million people – will have personal information, such as social security or financial records, stolen from technology systems over the next five years. Healthcare apparently is going through the cycle that industries such as finance, retail or manufacturing went through decades ago. Nevertheless, almost everybody nowadays has at least once or twice tried online transactions ordering goods or services over Amazon, eBay or other internet platforms. For many, it is the only purchasing option. What makes Healthcare so special and what can stand behind the security concerns? It seems that physicians in the hospital I have visited are not unique. Still we see silos of isolated IT systems in many hospitals. And this is not just the technical interoperability issue. This problem can be solved. Fears of being blamed if something goes wrong are still deeply rooted in the medical culture. According to the National Centre of Biotechnology Information (NCBI) resources evidence suggests that actual disclosure rates of errors in hospitals were as low as 6%. Physician’s concerns over disclosing medical errors due to ensuing litigations was also confirmed by NCBI study of 276 randomly selected doctors. The conclusion was the following: “Most doctors in this study would not disclose medical errors although they perceived that the errors were serious and felt responsible for it. Poor disclosure could be due to fear of litigations and improper mechanisms/procedures available for disclosure”. Security concerns are often disguising purely pragmatic and commercial interests. Thus, according to Pew Internet & American Life Project study “nearly one in three doctors said they withheld medical treatment from patients if the services weren’t covered by health insurance”. So, for example, if there is a new medication coming out that potentially can cure a patient better, your doctor is at risk of prescribing it because the health insurance does not have this medication on the list of the drugs it is bound to finance. The reluctance to share data especially with patients can have purely phycological reasons deeply rooted in paternalistic medical culture: patients are considered simply not worthy to be informed about procedures related to their own health. Thus according to Forbes two-thirds of doctors, members of SERMO, the leading ‒ if not the largest ‒ social network exclusively for physicians, were reluctant to share health data with patients, because “Full access also means generating questions for which there is no time to lecture the patient”. What patients think about sharing their data? There is always a trade-off between security and comfort, between safety and ability to help. Patients are apparently prioritising care and willingness to help others over security and data protection. They are willing to share their feedbacks on treatment outcomes, the way the disease is progressing, their own personal data, because they believe such assistance can improve care and support innovations. Thus, according to the Rock Health study “80 percent of respondents would share their health data if it meant getting improved care, while more than half said they’d share it for medical research purposes”. A survey of 2,125 PatientsLikeMe members showed that 94% would be willing to share their data to help doctors improve care; 94% would be willing to help other patients like them; and 92% would be willing to share to help researchers learn more about their disease. Desire to learn from each other is another incentive for patients to share their health data especially with those who successfully coped with the same disease. The study published by Annals of Internal Medicine analysed the blood glucose control of 120 Afro-American diabetic patients, the latter being randomly divided into three groups. The first group has received the usual care from their doctor; those from the second one was offered up to $200 if they could improve their glucose control over time; patients from the third group were assigned as mentors to fellow patients who managed to control their diabetes. After six months, the only group of patients who had significantly improved their blood sugar control was the group with peer mentors. The altruistic yarning to help their peers inspires patients to create their own communities. Platforms, e.g., PatientsLikeMe or Webicina not only are giving people a soothing feeling that they are not alone in their sufferings but provide invaluable life experience of those millions who, when properly analysed, can suggest new and efficient ways of therapy. The demand for patients facing IT as user-friendly patients’ portals, personal health records and mHealth applications is high. Thus, Kaiser Permanente, an institution that has used portals for over a decade, reports that as of the third quarter of 2015, about 70% (5.2 million patients) of eligible adult members registered to use its My Health Manager patient portal. When you suffer from anxiety and pain your first priority is to get help. Patients know this and thus are willing to share their data hoping to improve care, support research and promote innovations. Security concerns should not be underestimated, but after all it is a technical and policy issues that can and should be solved. However, there are many psychological and behaviour problems deeply rooted in medical culture and structure that are disguised under the security umbrella. Fears of litigations, career damages, financial restrictions still dominate over the desire to capitalize on mistakes, promote new treatments and improve patients care. Until these barriers exist the flow of information across care, detrimental for diagnostics and innovations, will be hindered under all sorts of pretexts, with numerous data protection acts being the main of those. Suddenly my farther had chest pains. The emergency has arrived, and ECG was taken. I was of course eager to learn the results immediately. “You need to study six years to understand it”, snapped the doctor. “Your GP will inform you in due time”. I was appalled. After all I had a university degree and many years working in the Health IT area. Am I really uncapable to understand the ECG readings? The next step was to go online to study ECG interpretations. For sure by now my knowledge is not up to the level of professional cardiologists, but at least I am able to see if something is wrong with ECG waveforms. Patients health illiteracy stems from their fears and pains, and consequently: the desire to delegate the problem to somebody who allegedly can solve it immediately, be it a doctor or God. Medical professionals tend to exploit these feelings to reinforce their medical authority. Thus, a study on the observed behaviors of specialty physicians showed that “less than one doctor out of every four ever gave the patient an opportunity to participate in any type of decision making at the surgery”. One of the typical statement: “while patients have expertise in their own experience of symptoms, they typically have minimal knowledge about their diagnostic journey to an unknown destination. The patient does not necessarily know what information is valuable for diagnosis, or when to be concerned that diagnosis is off track”. With all respect to a six years’ diligent medical learning curve, I started believing that there are certain advantages that people coming from other industries can contribute to enhance health knowledge and care. Medical professionals undergo long years of studying which requires a lot of efforts and memory strains. One has to cover general subjects such as anatomy, physiology, biochemistry, microbiology and then dive into specializations. The methodology of learning and thinking is based on the vivisection of human body which is reflected in the contemporary structure of medicine being split between various fields such as gastroenterology, cardiology, nephrology, gynecology, oncology with various localizations, etc. The logic of this structure presupposes that if all organs are functioning properly a person should be healthy, which, unfortunately, is not the case. In complex systems the total is not equal to the sum of its parts. Patients with professional engineering or scientific background are in the first instance applying a holistic approach to multifaceted subjects and after that are going into specifics. For example, a physicist dealing with complex objects will first study an entire system, specifying its behaviour by overall macroscopic characteristics that are determined by some average system properties such as, e.g., temperature. One cannot describe, for example, the Universe by studying separately “dark matter” or comprising atoms. Likewise, one cannot understand the Earth climate by investigating the behaviour of separate molecules in the atmosphere. An engineer, while checking the state of a nuclear power station, will not be satisfied if a steam generator or pressure vessels alone work properly. The latter being subordinated to the principal goal that is generating electric power ensuring the overall safety of a nuclear reactor. Likewise, a patient, e.g., with scientific or engineering training while studding the nature of diabetes may challenge doctors with basic and seemingly naïve questions: what is the glucose metabolism in the body? What set of organs is entangled and what are the main functions of those organs? What chemical substances making up the interaction between such organs, in particular hormones, are involved? This deductive reasoning that moves from the general rule to the specifics may not be sufficient enough to provide all the correct answers, e.g. in complicated cases, but can certainly help posing meaningful questions. A big leap forward. Medical professionals, however, are often taking quite the opposite – inductive – approach trying to derive the general and indivisible state of human health from the behavior of particular objects (the body organs). At least that is how it is seen from a patient’s’ perspective. While talking to e.g. diabetics’ patients many physicians tend to enumerate to a patient the abundance of affective factors such as bad nutrition habits, wrong life style, previous diseases or semi-mystical genetic influence. However, it is not obvious from such discussions which factors are relevant for a specific metabolic function of a given person. In essence educated patients tend to look at the human organism as a system, while medical professionals are often concentrating on its separate parts. Patients’ intellectual “dive down” approach in understanding their diseases proves to be fruitful. However, “patients who have in-depth knowledge of their condition encounter problems when their expertise seen as inappropriate in standard healthcare interactions, and expertise taught to patients in one branch of medicine can be considered non-compliant by those who are not specialists in that field”. The statement provokes two observations. First, some doctors are still considering an educated patient as an unnecessary challenge and a threat to her/his dominant position in healthcare. Second, many physicians are “locked” within the domain of their specific professional expertise, having difficulties in reacting to information flowing from external knowledge domains. Despite more than three centuries of the development of modern physics, mathematics and based on them successful engineering disciplines, medicine has not yet come to grips with the worldview and methodology adopted in natural sciences. 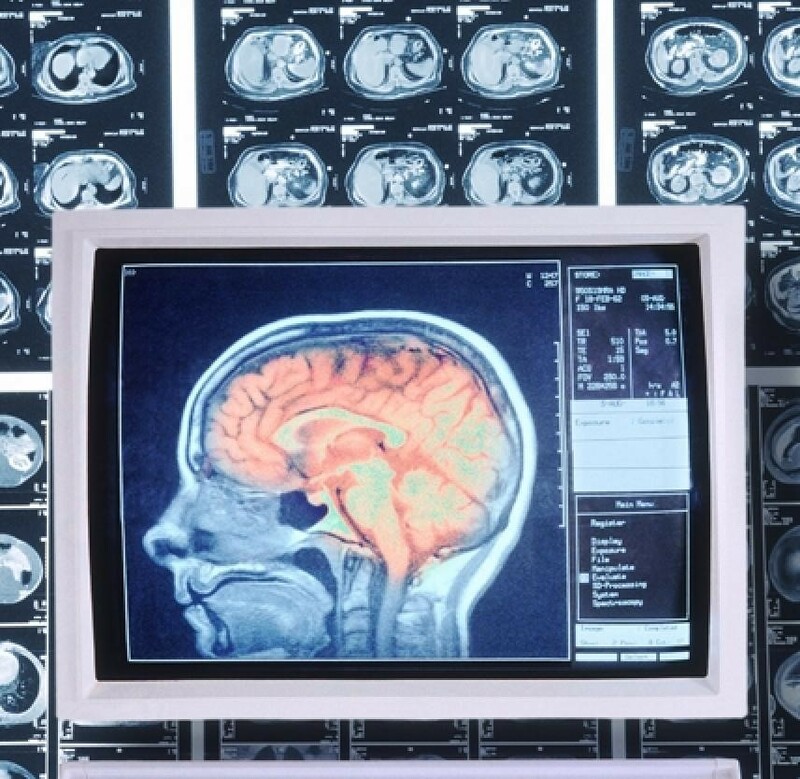 Note, however, that most achievements of modern medicine are based on the techniques imported from experimental physics and applied mathematics (e.g., magnetic resonance imaging (MRI), computer tomography (CT), acoustic methods such as ultrasonic investigations of inner organs and blood flow, dynamic mapping of vessels, brain, muscles, glands, etc. showing metabolism and oxygenation in corresponding tissues, optical and laser methods, e.g., analysis of spectra of scattered light and so on. Naturally some technically savvy patients can be of help in dealing with certain complex explorations. Education journey in Health is still a bumpy road. It requires support both from communities and governments. Medical professionals have to cope in future with new interdisciplinary natural science subjects to develop new methods of integrated health state analysis. Citizens, on the other hand, are to increase their knowledge of human anatomy and physiology. Systematic health education in understanding the functioning of the human organism, physiology and biochemistry should start early at school. This will increase the level of health literacy among citizens, while allowing medical students to concentrate in their years of studying on new trends in medical science as well as cross-border sciences such as bioengineering, biophysics or genomics (including computer genomics). Health literacy should be part of the standard European culture. Let us not talk just about “educated patients”. Let’s struggle to build an educated, cultural and healthy society. Successful outcome of care as well as patient’s relationships with physicians very much depend on the quantity and quality of information that flows between all the participants of therapeutic process. Despite wide spread of Electronic Health Record (EHR) in Europe, there is almost no country with its full adoption which would imply smooth data streaming across care including information exchange between patients, general practitioners (GPs) and specialists. According to the EU Commission Benchmark deployment eHealth among general practitioners study less than 10% of the respondents claimed that patients ‘remote monitoring and consultancy are available in their practice. Training/education and consultation with other healthcare practitioners are used by 35% and 15% of GPs respectively”. Apparently, eHealth that is healthcare practice supported by electronic processes and communication – is not yet ubiquitous in medical environment. Is it only the technical issue (e.g., interoperability infrastructure) that prevents technology adoption in care processes? Or there are also mental barriers deeply rooted in medical culture that impede information sharing between all the participants of care including patients? Pervasive mythology: patients are too sensitive (ignorant) to participate in care program. At the dawn of European medicine, the “seclusion” of medical profession was the logical consequence of limited knowledge regarding human physiology and unpredictability of treatment outcomes. “Ars Medica” traditionally was the domain of those who exclusively possess the sacred knowledge of healing. Patients did not belong to this elite and were doomed to endure patiently all manipulations performed upon them. A patient basically had to blindly trust a physician. The less patients knew, the more faith they had. Through centuries this stereotype has undergone some “modernization”, however it is still entrenched in medical community. Instead of a blunt statement that patients are ignorant by default it is now elegantly argued that they are too sensitive (or medical information is too complex for laymen) to face their health conditions. Patients’ alleged fears, unwillingness to accept bad news are pushing physicians for additional unnecessary tests and examinations which are expensive and harmful. The logical conclusion derived: physician should filter information patients are receiving for their own benefit. The advance of Information and Communication Technology (ICT) made health knowledge more accessible stimulating patients’ engagement in healthcare process, one of the triggers of the global healthcare system transformation. However, the old paternalistic mentality is still deeply rooted in medical culture. This perception often tends to block technologies that facilitate information flow between patients and care providers. Another survey conducted by SERMO, a large physician social network, found that the majority of doctors when asked, “Should patients have access to their entire medical record – including MD notes, any audio recordings, etc. ?” two-thirds of 2,300 physicians said no. Nearly half of participants agreed that this disclosure should be given on a case-by-case basis. One doctor alluded to the old proverb that “ignorance is bliss” when it comes to telling people about their health. People don’t take bad news well. Patients, however, think differently. Medscape survey showed that patients are much more savvy for technology willing to use it for better health management. “89 percent of patients said they should be allowed to see all the notes their physician takes during a visit, however only 64 percent of doctors are in favor of sharing”. While the discussion about the level of patients’ engagement in healthcare continues vehemently in media and medical publications, patients have already started with simple but important things such, e.g., doing their “homework” to make medical appointments more efficient. At the end of the day, it is a patient who ultimately evaluates the quality and the outcome of care with his own health. A proactive patient can be an invaluable partner in care journey and one of the best gate keepers for medical errors. He or she can track records circulation between various participants of the care process, ensure test results and follow ups, discovering communication gaps that can lead to errors. “Up to 80 percent of serious medical errors can be attributed to miscommunication among medical staff while transferring patients” according to the Joint Commission, a group that sets safety standards and accredits healthcare organizations. Typical situation many probably have faced: a nurse is coming with the anticoagulant injection required after the surgery. In 40 minutes enters another one with the same injection. Even worse scenario can happen: insulin injection several nurses in shifts were trying to perform to the same patient. Fortunately, a person was on guard and vehemently objected. A survey in 7 primary care practices in North Carolina of English – or Spanish – speaking adults showed that 15.6% of surveyed patients responded that a physician had made a mistake, 13.4% reported a wrong diagnosis, 12.5% a wrong treatment. The discovery of additional unreported errors is hardly welcomed in paternalistic culture. Thus a Canadian study on pediatric hospital admission found “that patients and their families are willing and able to report valid safety concerns, but only less than 3% of those had been identified by the hospitals’ own safety-monitoring program”. Patients, again, have a different view. They reported to have lower availability of patient portals than physicians; however, are significantly more likely to using them. Just 13% of patients reported “never using” a patient portal; nearly one half reported using a patient portal at least occasionally, and nearly 20% reported using one “almost always” or “always. The concerns of “desacralization of medicine”, expressed by those who were used to justify authority by wearing the “white robe”, fears of losing influence on patients when the latter fully access their data ”, are unjustified. Thus, the EHR Patient Impact study showed that those patients who are using EHR can better understand the treatment procedures and thus have more respect towards physicians’ efforts. 78% of the surveyed patients using EHR were satisfied with their doctors compared to 68% who did not. So, who ultimately has more fears: patients struggling to do their utmost best to engage in care to cope with the disease or those medical professionals who are trying to restrict communication through technologies for the fear of error disclosure and credibility loss? Patient’s engagement in care process is still a wishful thinking. However, health information accessible via internet, advance of personal health technologies stimulate people to proactively participate in healthcare process. Patients are often more technical savvy than health providers, more willing to offer their partnership in care journey than health providers to accept it. To certain extent this is understandable: patients are looking for improvements, providers – not to lose what they already got. Nevertheless, medical professionals should accept that they are dealing now with the new type of patients: more educated, more proactive to manage their health. The trend is sustainable, and it is good so. Just like educated reader can enhance the quality of literature, an educated patient can stimulate health providers to aspire for long life studying for the best outcome of care. Is it not what we are all willing?